Making soup is so gratifying, it’s relatively little work, especially if you buy organic produce: no need to peel the veggies! I was inspired by a soup in a restaurant I’d recently been too & I wanted to recreate the flavours, however, I didn’t find the lemongrass needed for the recipe, hence I made a different version. The lemongrass recipe will follow. Cut and wash leek. Put aside one green stalk for garnish. Peel the garlic & cut in small pieces. Heat the pan, add the coriander seeds & dry fry them until they ‘pop’. Add the olive oil & stir fry the leek until slightly golden, add the garlic & stir for about 1 minute more. Add the water & once it boils, add the stock powder. Cook for about 8 minutes, then add the frozen sweet peas. Cook for about 5 minutes longer. Turn of heat, add miso, shoyu or tamari sauce, parsley, black pepper & some Herbamare if needed. Use an immersion blender & mix the soup until it’s nicely creamy. Heat a small pan, add 1 tbsp olive oil, add the thinly chopped green leek & fry until golden. Serve the soup in bowls, add the fried green of the leek. It’s delicious with homemade croutons . Categories: Yogi food | Tags: breakfast, granola, recipe, snack, vegan | Permalink. Buying granola is such a chore, as when I start reading the ingredients’ list, I’m put off. So much crap they put in there, even in organic granola. Obviously, it comes in plastic or whatever packaging, hence I’ve started making my own. It’s super simple! It demands quality ingredients, that I buy from organic shops that are packaging free, or mostly. Basically, you buy in bulk, and can bring your own jars & reusable bags. My inspiration for today’s recipe is a mix of two of my favourite recipe websites & cookbook authors: Angela Liddon, Oh She Glows Every day & Minimalist Baker. In a small pan over medium low heat, melt the (coconut) oil. Once melted, take the pan from the heat source & whip in agave syrup and vanilla extract. Pour over the dry ingredients and mix well with a wooden spoon. Spread the mixture evenly onto a a large baking sheet or tray and bake for 10 minutes, stir, then turn the cooking tray to ensure even cooking. Bake for another 8-12 minutes. The coconut oil will help this granola to become crispy, check carefully as it browns quickly (my first time making granola: the granola baked too long & had a slight burnt taste, I ate it anyway…). Once the granola is visibly golden (about 18 minutes in this case), remove from the oven and let cool completely on the tray before storing in glass jars. It’s delicious with some coconut flakes, dried raisins or cranberries & maca powder with your favourite type of plant based milk or yoghurt, but also wonderfully eaten just like that as a snack. 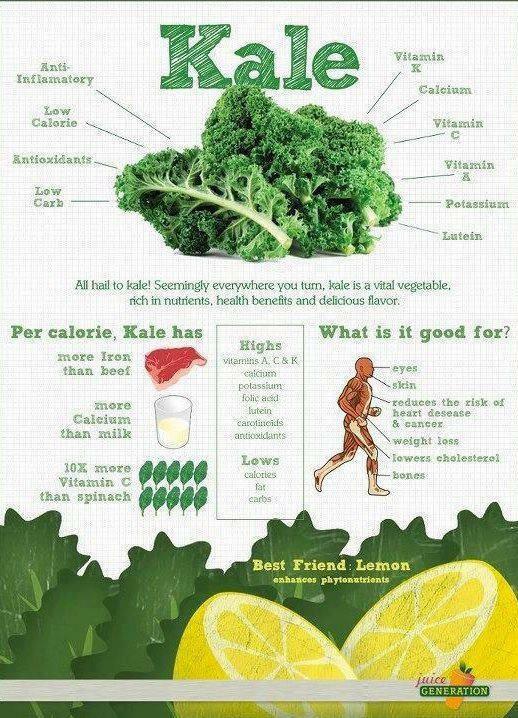 It’s kale season & I’m a huge kale fan, whether it’s juicing, in pesto & stews or crisps (chips) ! Make your own healthy snack, it only takes a couple of minutes. Enjoy them straight out of the oven, warm & crispy & healthy ! Shred the leaves into smaller sizes (regular chips size). 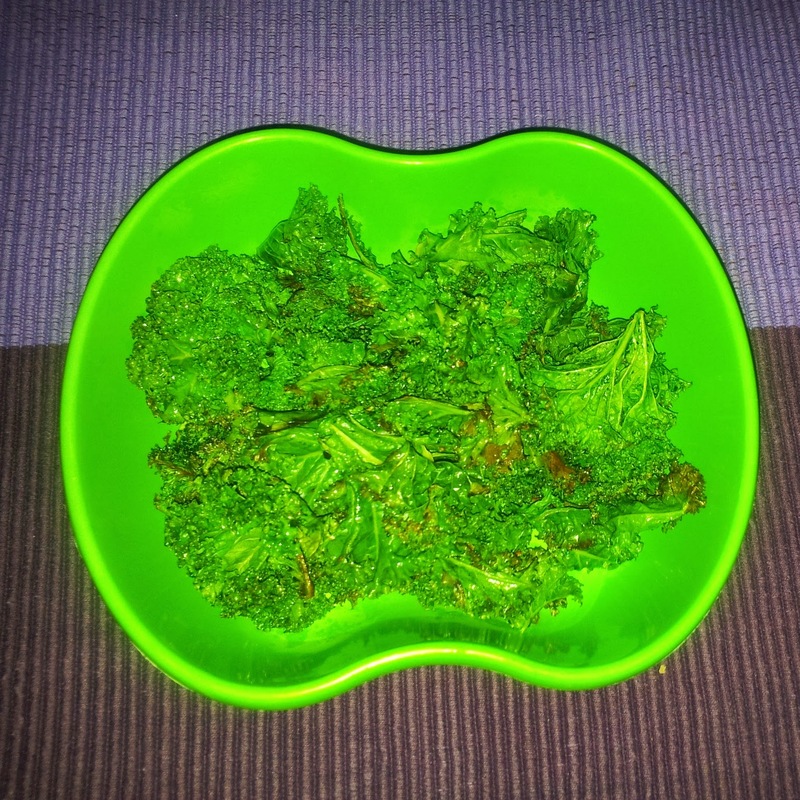 Wash & dry the kale leaves. Mix all the other ingredients into a big bowl. Add the kale leaves and make sure all the leaves are coated with the dressing (add olive oil & lemon juice if needed). Spread the leaves out on a paper baking sheet or non-sticky re-usable baking sheet. Put in the oven for about 5 minutes or as long as needed until the leaves are crispy. PS: read up on the benefits of kale in a previous post: kale pesto. Categories: Yogi food | Tags: kale, snack, vegan | Permalink. They are 100% raw, vegan, sugar+wheat+GMO+soy FREE with no hidden extras. Unfortunately, currently they are not (yet) organic or Fairtrade. Personally, I find that snacks can be part of a healthy diet, as long as you don’t use them as your main meal and it remains an exception rather than the rule. Nākd bars are an easy way to eat nutritious, healthy food without compromising on taste.The bars are made from natural ingredients such as fruits and nuts which are squeezed together into a bar and are easy to bring where-ever you go. Besides some retail outlets (that I yet have to discover) they are only available through web order in Belgium: 18 euros for 18 bars. 6,20 euro shipping, which is waived if you order 3 boxes or more. I’d say, order a bunch with some friends and enjoy the healthy snack every now & then! Categories: Yogi food | Tags: fruits, nuts, raw, seeds, snack, vegan | Permalink.